Photo courtesy of Wesley Salazar. 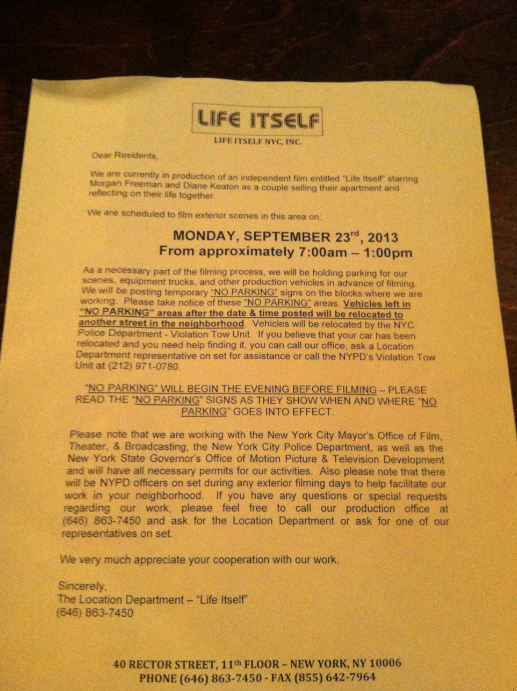 This morning, we spotted Morgan Freeman and, a woman who we presumed to be, Diane Keaton filming a scene for the upcoming film Life Itself on the southwest staircase of the Myrtle-Broadway subway stop. According to posted signs, the film stars “Morgan Freeman and Diane Keaton as a couple selling their apartment and reflecting on their life together.” Cynthia Nixon was also recently added to the already star-studded cast. 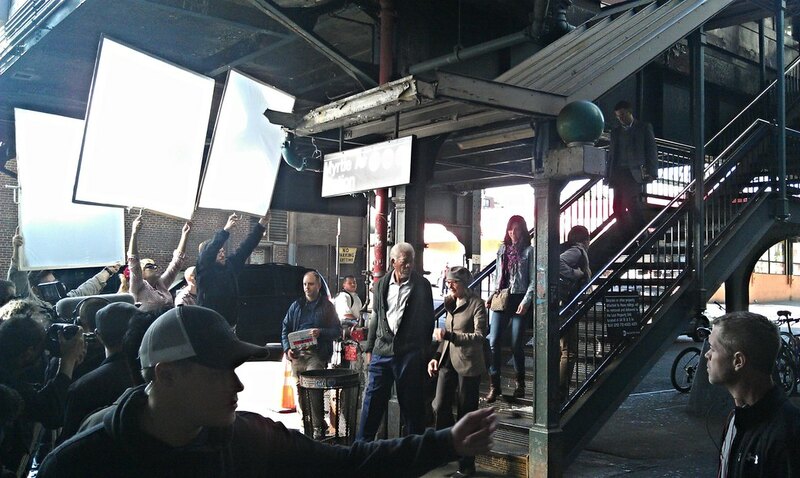 The crew was shooting Freeman and Keaton having a conversation as they walked down the subway steps. Freeman stole the spotlight; hushed whispers of “That's Morgan Freeman!” could be heard throughout the crowd. He seemed startlingly delicate in real life and, with his white hair and thin frame, he looked older than you'd expect from just having seen him on screen. Yet, he retains that je ne sais quoi, the presence of established superstardom. Earlier that morning, Freeman reportedly stopped in at the deli on the corner, Big Boy Deli.